BugMaster in the Community BugMaster Pest Control in Kelowna strives to be more than a pest control company. Our dedication to keeping your home free of. BugMaster Pest Control in Kelowna strives to be more than a pest control company. Our dedication to keeping your home free of pesky intruders goes beyond pest control. We are committed to our community as a whole, we value community engagement, and finding ways to give back to our community. We have been part of the community for 8 years and are proud of our members that continue to contribute to the community of Kelowna in meaningful ways including Steve Sr and Steve Jr annual Christmas volunteer work of supplying coffee, juice, and cookies to the Kelowna Gospel Mission. We are excited to announce some of our most recent contribution to the community of Kelowna. In an effort to give back and get involved with our community, we’re hosting a community family event on Saturday, May 26th from 12:00pm – 4:00pm outside at Chute Lake Elementary School. Interested in attending? RSVP on our Facebook event today. We will be having a complimentary BBQ and games for the whole family to participate in. Bring your kids down as they will love the BugMaster Learning Booth we will have set up. Have the chance to use a microscope to take a look at some of our best bug specimens. We will have fun bug facts and trivia to keep everyone entertained. Please call 250 826 8430 if you have any questions about the event. We’re really excited to share our new partnership with UBCO and scholarship opportunity. Beginning this Fall, a $1000 bursary and a $1000 scholarship will be offered by Bug Master Pest Control to a 3rd-year student in the Bachelor of Science program in the Irving K. Barber School of Arts & Sciences at the University of British Columbia, Okanagan campus. Preference is given to a student majoring in Biology who has an interest in studying entomology. BugMaster Pest Control strives to provide a safe community for residents throughout the Okanagan Valley. We not only provide service throughout the Okanagan Valley but are also all valued members of each community we provide our pest control services to. One of the growing threats we’re seeing in Kelowna and throughout the Okanagan is a growing infestation of rats. Learn how you can be actively part of the solution and implement our top preventive measures to help us keep our community safe and rat-free! 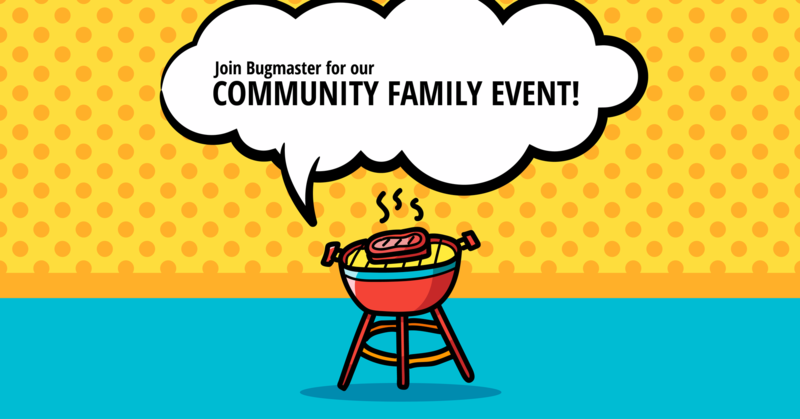 Contact BugMaster for all your pest control services at 250.826.8430 and join us on Saturday, May 26th for our BBQ event!